Make your own Kentucky Bourbon Whiskey with a Swish Barrel Bootleg Kit™. Get the classic Americ..
Moonshine Magic® ...World's Best "legal" Moonshine Making Kit. Makes moonshine in minutes! 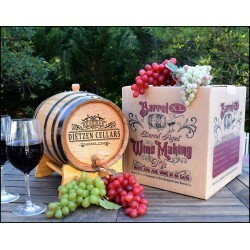 Ma..
Now, for the first time ever, you can make and age wine at home with the Barrel XL™ Barrel Aged..
Pickle just about anything... with The Amazing Pickle Barrel™, the worlds first and only barr..
Make your own Bourbon with The Barrel Connoisseur® Whiskey Making Kit Explore the world of Wh..